Congratulations! You have just made the first step in setting up your Novocall account and increasing your web conversion rates. After signing up, an Verification Email will be sent to you. 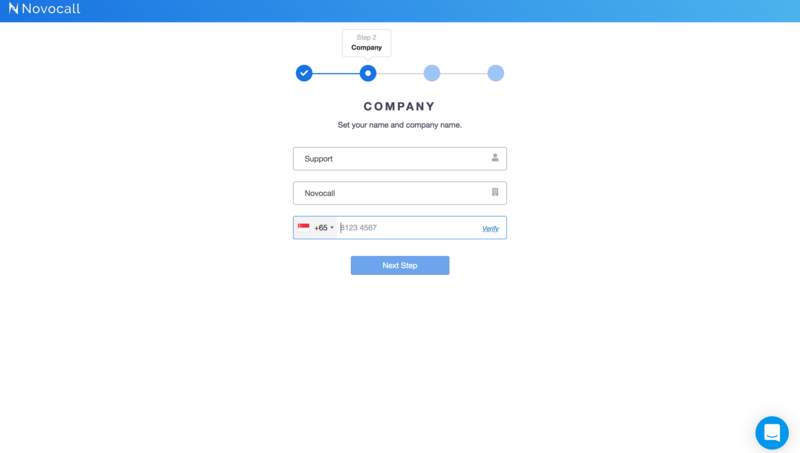 Once phone number is verified, fill in your name & company. Paste the code between the <head> and </head> tags of your website. Using a third-party platform like Wix or Squarespace? Find the guides for your platform here. Wordpress website? Wordpress plugin here. After you have clicked on the link, you'll need to verify your phone number so that we know you're real. Customize your widget to make it suit your website. You'll learn how to place your own logo on the widget and more.